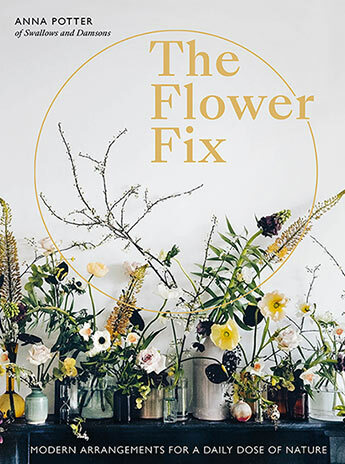 A refreshingly modern guide to creative floral arrangements that uplift and inspire. Wild inspiration and modern arrangements by Swallows and Damsons florist Anna Potter, with beautiful photography by India Hobson. With easy-to-find seasonal blooms, found items such as twigs and dried fruit, and any assortment of containers, discover how simple it is to bring a little bit of nature’s mystery into the everyday. Anna Potter is the florist behind Swallows and Damsons, based in Sheffield. Her flower shop has 156k followers on Instagram. A very luxe and wild feel that uses containers of all sorts and moves beyond the confines of blooms in her decoration - incorporating foliage, fruit and vegetables, sea shells and most things that grown out of the ground.